Floating 320mm flame design front rotor, thickness 4mm. 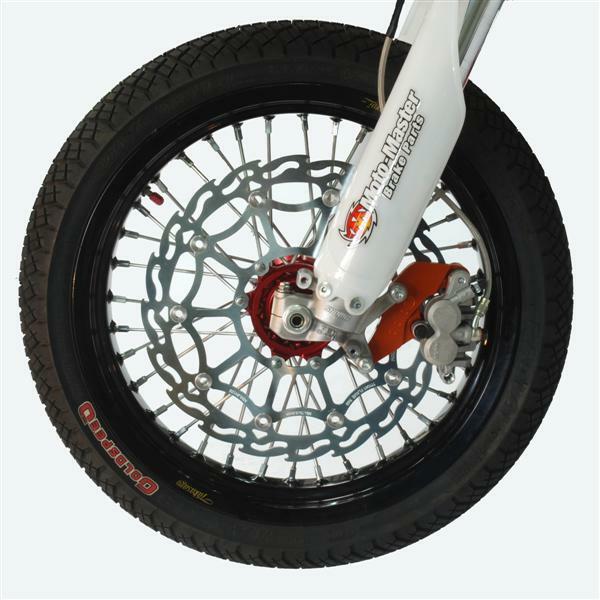 The Moto-Master Supermoto Street rotor is an ideal solution for advanced recreational fun riding without concession on stopping power. 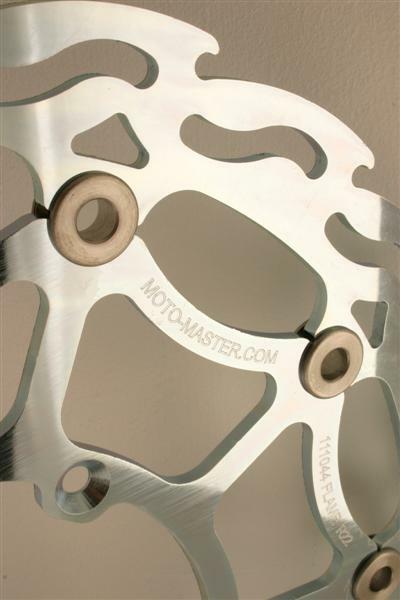 Use the stock OEM caliper with the help of the Moto-Master aluminium CNC relocation adapter. Transforming your bike from dirt to supermoto has never been easier! Not compatible with our 4-piston race caliper. Use the matching brake pads in race compound for best results.